This new 47,000 sq ft supermarket is 3 stories high and one of the largest locations for Publix. The Moss & Associates project team contracted B&B to be part of building this new facility and we installed all of the interior and exterior tile on the project. 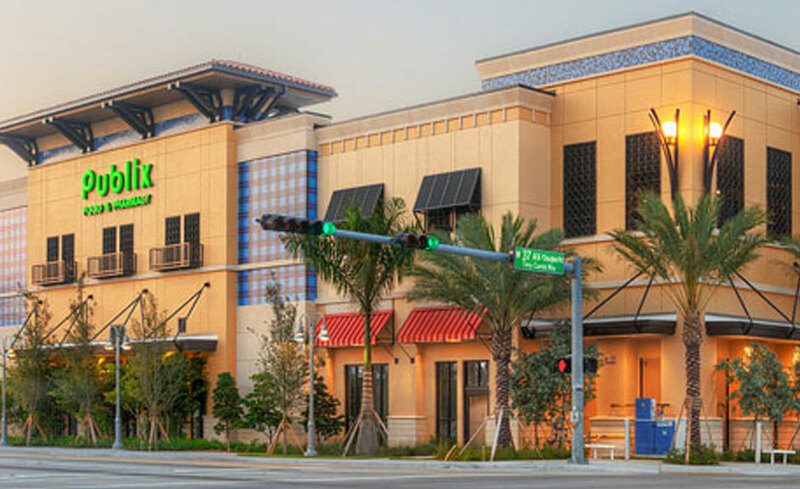 After completing this successful project, Moss & Associates also contracted B &B to install the tile on its West Palm Beach Publix project and Pompano Beach Publix project.